Did you know? The Federal Environmental Protection Agency regulates the type of refrigerant you can use in your air conditioner. Here at Lugo Auto repair, we are current on EPA rules for properly removing and disposing of used refrigerant, protecting the environment while keeping you cool. Did you know? Your vehicle uses about 12,000 gallons of air for every gallon of fuel you burn. That's about 100 gallons of air every block. All that air needs to be filtered to keep your engine clean and your fuel economy good. 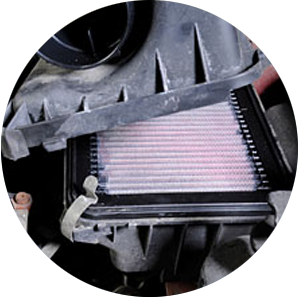 If you replace your dirty engine air filter it might just pay for itself with fuel savings before your next oil change. Did you know? 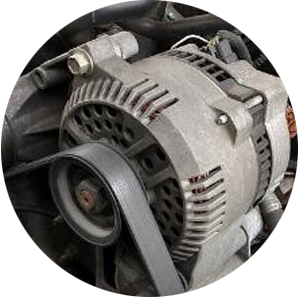 When you replace your alternator, it's a good idea to replace your serpentine belt at the same time. Your technician will have to remove the old belt anyway so he might as well put on a new one when he's done. And the number-1 alternator killer is a battery that's on its last legs; the alternator has to overwork to keep it charged. If your battery is 5 years old; ask us if it's time to replace it! Did you know? 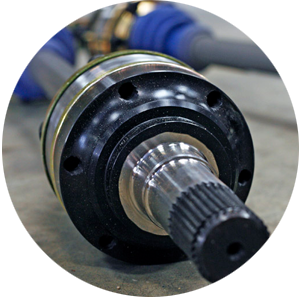 The main job of your axles is to transfer power from your engine to the drive wheels. 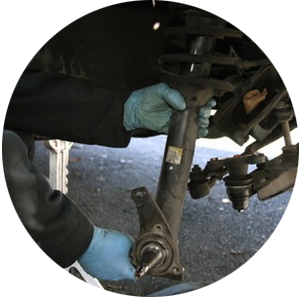 If you hear a strange noise coming from your axles, or if your axle seal is leaking or your CV boot is torn, the axle needs to be inspected and serviced or repaired. Did you know? Car batteries last longer in cold climates than in warm. Cold starts put a greater demand on batteries, but heat is a big factor in car battery life. 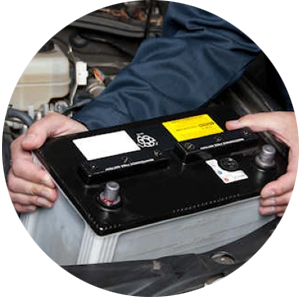 We can test your battery for how well it holds a charge and to estimate how much life it has left. Did you know? 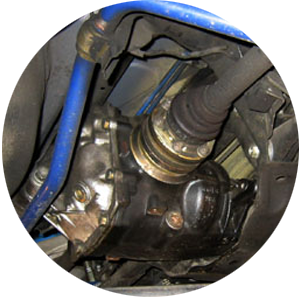 Hydraulic brake fluid replacement is not listed in some owner's manual service schedules. Ask your service adviser about when he would recommend a power brake fluid replacement. Fresh fluid has adequate levels of anti-corrosion additives that can help protect expensive brake components. Did you know? The air inside your vehicle may actually be more polluted than the air outside. Pollen, mold, dust, etc. can be trapped inside your vehicle. 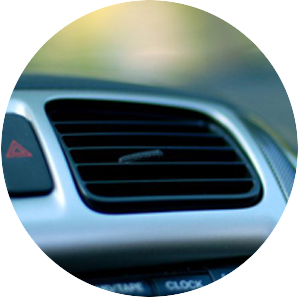 The cabin air filter stops these pollutants before they even get inside and filters out odors and smoke. 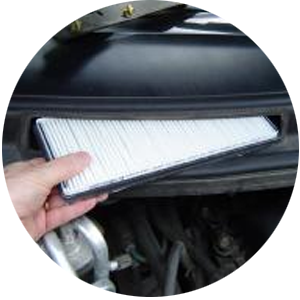 People who suffer from seasonal allergies really appreciate a clean cabin air filter. Did you know? 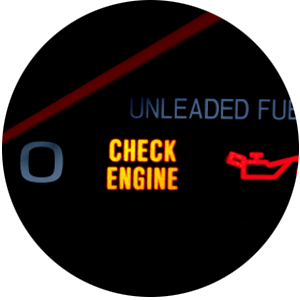 When your check engine light comes on a trouble code is stored in the computer. Some codes are universal and can be read by most scanners. Other codes are stored more deeply in memory or are proprietary to the vehicle make. At Lugo Auto Repair, for these kinds of codes, we have powerful, and expensive, equipment and software to help us read and retrieve trouble codes. Did you know? 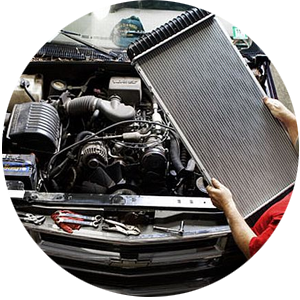 Cooling system failure is the most common mechanical failure. The results can range from inconvenient to extremely expensive. You can head off most cooling system problems with regular coolant replacement and cooling system inspections. 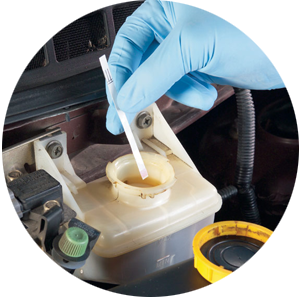 If you see green, amber or yellow fluid under your vehicle, bring it in for an inspection. Did you know? When a car makes a turn, its outside wheels could travel up to 5 feet further than the inside wheels. Compensating for that is the job of your differential. Ask us for the recommended service interval. 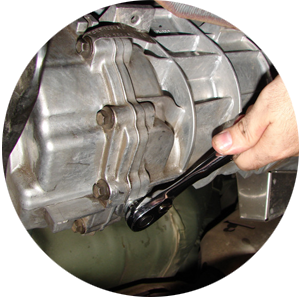 Proper service will help your differential last as long as possible. Did you know? Racing legend Richard Petty once said, "If you've got good brakes you can stay out of a lot of trouble." If you're hearing unusual sounds when you brake or if your brake pedal is feeling squishy or too hard, have us do a disc brake inspection for you. 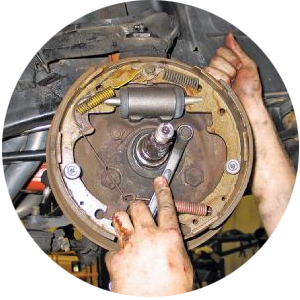 We'll tell you if there's something wrong and what it'll take to get your brakes all fixed up. Did you know? Some vehicles have disc brakes on the front and drum brakes on the rear. 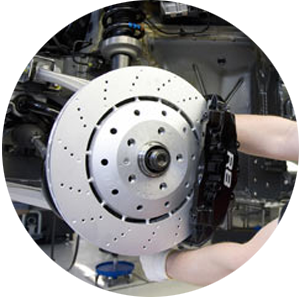 A thorough brake inspection will uncover any maintenance or repair issues that need to be addressed to keep you stopping safely. If you are hearing unusual sounds when you brake or if your pedal is too hard to push or has a mushy feel, bring it in for a brake inspection right away. Did you know? Carbon monoxide is the leading cause of accidental poisoning deaths. It's a dangerous and potentially lethal toxin. Excessive exposure to auto exhaust can cause brain damage and even death. 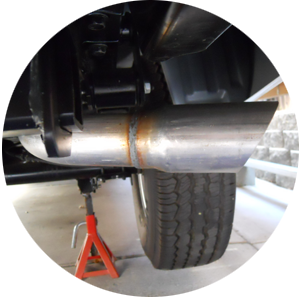 If you see, smell or hear exhaust anywhere but the tailpipe, get an auto inspection right away. Also, here at Lugo Auto Repair, we provide the option of custom exhausts, which allows you as the car owner to help with a custom design on how you want your exhaust to look and sound. Want a Flowmaster or a Magnaflow exhaust? No problem! We got you covered. Did you know? Everyone likes to save money on gas. But cheap no-brand gas may not contain enough detergent additives to keep your fuel system clean. Major brand gas may cost a few cents more per gallon, but it can help prevent expensive fuel system repairs down the road. Did you know? 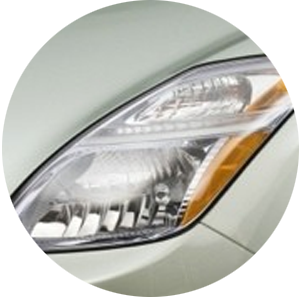 A recent study showed that 9 out of 10 vehicles have dirty or yellowed headlights. This can decrease nighttime visibility by as much as 90 percent. When you gas up, wipe down your headlights to keep them clean. A headlamp restoration can economically clear up cloudy or yellowed headlight lenses. Call us or use our website to schedule an appointment for a headlamp restoration today! Did you know? 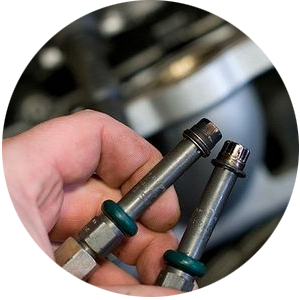 The most important thing you can do to keep your vehicle running for a long time is to change your oil on schedule. 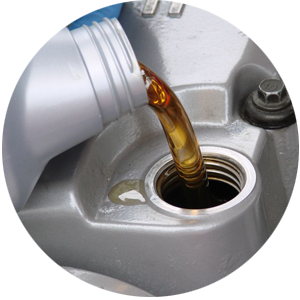 With a full service oil change, your other fluids are checked and topped off so you don't run into problems from low fluids. You technician may see a developing problem and he'll remind you of any other recommended maintenance. Did you know? 20 percent of vehicles on the road today need a serpentine belt replacement. A worn belt can not only break without warning, it can slip and damage important engine accessories. Have your belt inspected and replace it if it is worn or damaged. You'll be glad you did. Did you know? 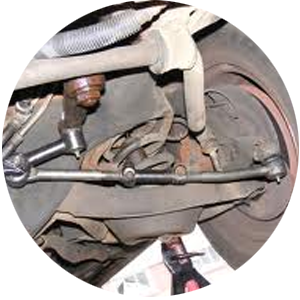 The main job of your shocks and struts is to keep your tires firmly on the ground. When shocks are worn, your vehicle won't handle as well and could even become unsafe. 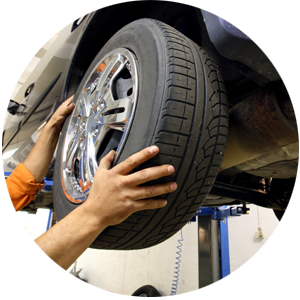 Replacing worn shocks and struts will extend the life of your tires and prevent other suspension damage. Did you know? 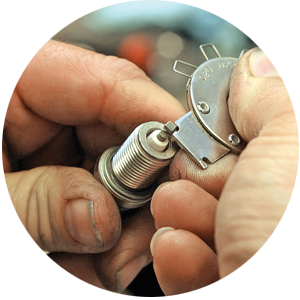 The "spark" made by your spark plug is like a tiny bolt of lightning; it's that powerful. Each time it sparks, a wee bit of material is lost from the electrodes. Over the millions and millions of sparks that happen over the thousands of miles you drive, enough material is lost from the spark plug to affect its performance. That's one reason they need to be replaced. Make an appointment today to get your spark plugs checked. Did you know? 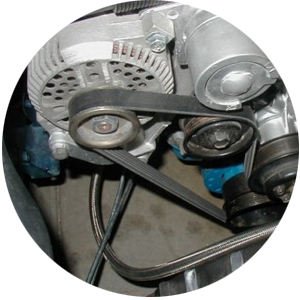 If your serpentine belt breaks, your power assisted steering may not work. Don't panic – your vehicle will still steer. It will just be harder to turn the wheel. Allow for extra time to turn and pull over as soon as it is safe. Make it a priority to have your steering checked soon to prevent against this type of problem. Did you know? It's easy to take your suspension system for granted, but normal wear and tear can affect your handling and safety. A worn suspension part starts a chain reaction that stresses other parts and causes them – and your tires – to wear prematurely. 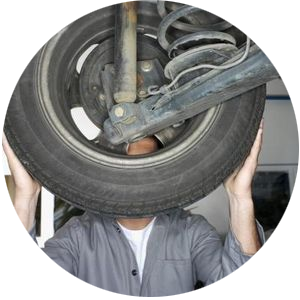 Let us help you take care of your suspension. Did you know? They say timing is everything. That's doubly true when it comes to your timing belt. 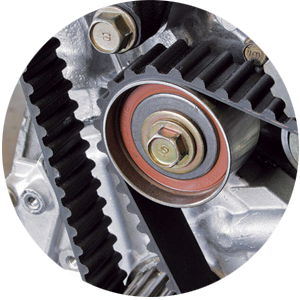 First, your timing belt keeps your valves operating in time with your engine so that it runs properly. 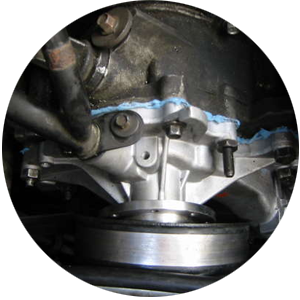 Second, if you replace your timing belt on schedule, you'll likely avoid the downtime and expense that can result from a broken or slipping timing belt. Did you know? Wheel balance weights can fall off and cause vibrations. When this happens you need to get the wheel re-balanced It's estimated that 70,000 tons of lead weights are lost each year worldwide. Many states are banning the use of lead wheel balance weights for environmental reasons. Alternate materials such as zinc are now being used. Come in today to have your balance and lead weights checked. Did you know? 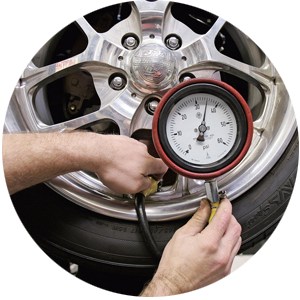 Your Tire Pressure Monitoring System warning light goes off when a tire is 25 percent under inflated. If your recommended pressure is 32 psi, 25 percent below means you are at 24 psi; which is severely under inflated. At that low pressure, your safety is at risk, your fuel economy is hurt, and your tire is wearing out too fast. Check your pressure at least once a month. Did you know? 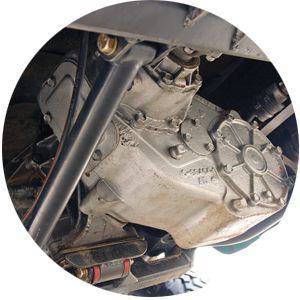 Some transfer cases are lubricated with gear oil and others use automatic transmission fluid. Of course, it's important to use the right fluid for your vehicle and we can help you do it right. When you need four-wheel drive you really need it. With proper transfer case care we can make sure it's available. Did you know? Early automatic transmissions had just two speeds. Now modern automatic transmissions have up to eight speeds. These sophisticated transmissions often match the fuel economy and performance of a manual transmission. Some require special transmission fluid formulas. We'll make sure you get the right type for your vehicle. Did you know? You should never open your radiator pressure cap or coolant overflow bottle when your engine is hot. Hot coolant and steam can cause severe burns. Check your owner's manual, or ask you service adviser about when you should have your coolant replaced. Did you know? If you drive in axle-deep water, like crossing streams, launching a boat or fording deep rain puddles, your wheel bearings are at risk for water contamination. You may need to inspect your wheel bearings more frequently. And don't forget your trailers; especially boat trailers. 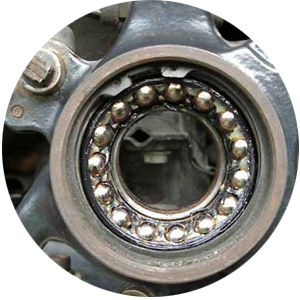 It's a good idea to get them serviced at the end of the season so bearings don't rust over the winter. Did you know? 90 percent of our driving decisions are based on what we see. When your wipers can't clear your windshield, the streaks and glare can significantly impair your vision. 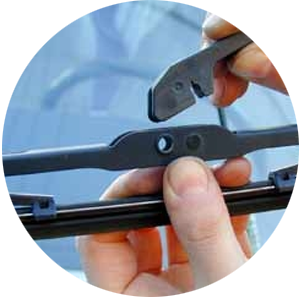 Replace your windshield wipers before they fail. **If you don't see a specific service on this page, please call 352.343.6510 for information.